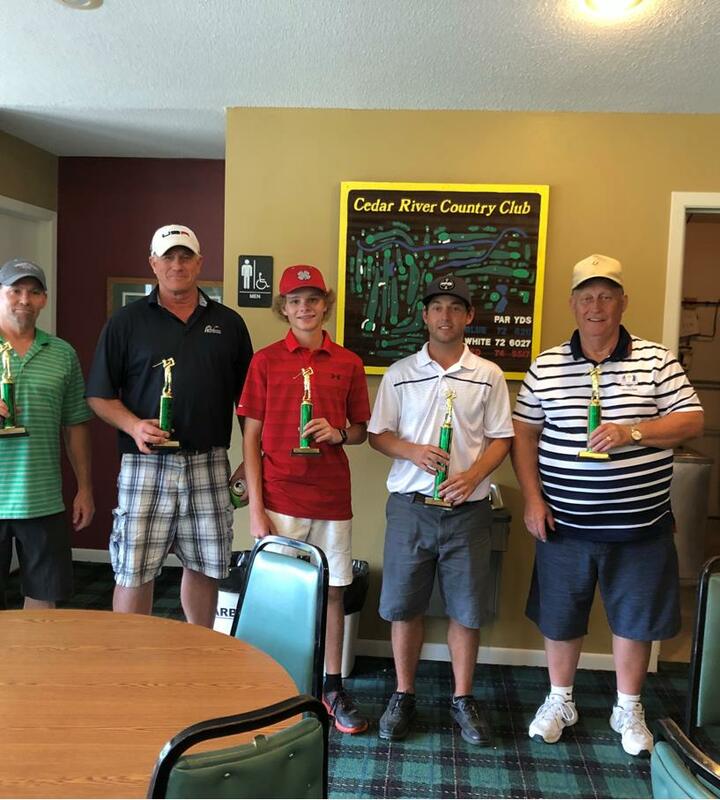 Welcome to Cedar River Golf Course - voted BEST GOLF COURSE in Mower County. - Call for tee times - 507-582-3595. ***CHECK OUT OUR ONLINE SPECIALS FOR OUR 2019 RATES! Cedar River GC is a member owned public golf course 2 miles outside of Adams Minnesota. This 18 hole design set along the beautiful Cedar River is truly a hidden gem of Southeastern Minnesota. Cedar River GC offers beautiful bent grass greens, watered fairways and developed trees. Cedar River GC is open for the public to enjoy. Check our daily rates or current online specials. Contact us at 507-582-3595 for tee times. All are welcome to make Cedar River GC your home for golf and community in 2019. Refer to our membership page for information on a season membership. Cedar River GC is a perfect setting for your charity fundraiser, company outing, family/school reunion. Our event staff would be glad to help you plan your golf outing. Congratulations to our 2018 Cedar River Golf Course Club Champions!